Yoshimi Arts is pleased to present the exhibition "Mizuki Kakinuma 2011-2018". In the tens of thousands of years of fine arts history, human creativity has produced a variety of things which cannot be expressed linguistically. It's as if an unknown creature rises from the depths of the human being who cannot explain things through language. The creature is usually repressed by society, but when the social system becomes weak, primitive things will appear. Mizuki Kakinuma's work is born from such a time when our modern social systems are weakening. Furthermore, humans have created rational and advanced social systems, but outside of that society, there is a world that we cannot control. Without warning at every turn, it presents us with ill-fated death. As a solution to this, Japan decided to establish a pantheistic society in which humanity is to live harmoniously with nature, rather than the individualist and monotheistic worldviews of Western societies in which humanity attempts to confront and surpass nature. The expressive, bold brush strokes of Kakinuma's work comes from such poetic emotions that are essentially Japanese, receiving inspiration from nature itself. 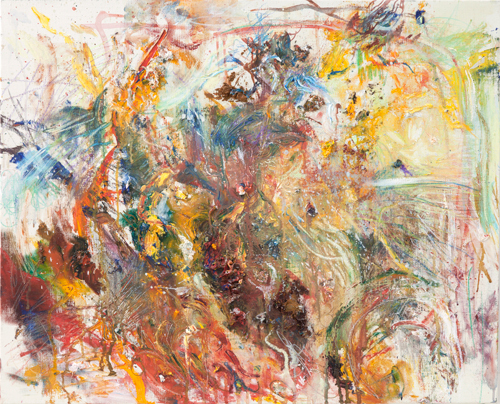 The works selected for this show were created between 2011 and 2017, and have been exhibited in 4 solo shows and differnt group shows, beginning with the group exhibition "Physical side" (Yoshimi Arts) in 2011, the year he graduated from Tohoku University of Art and Design, as well as never before shown works. Additionally, new work made in 2018 will also be included, and be shown in a chronological format. 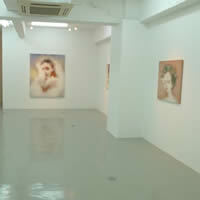 By observing the changes throughout the years, we hope the audience will gain a deep understanding of Kakinuma's work.